These rhodium plated Celtic cuff links feature an oxidized knot design and a rose gold plated dome in the center. 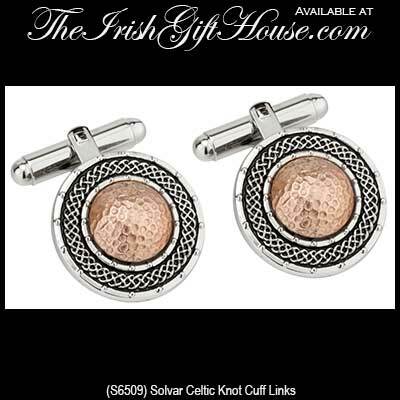 The double hinged Irish cuff links and measure 3/4" wide and are gift boxed with a Celtic knot history card, complements of The Irish Gift House. 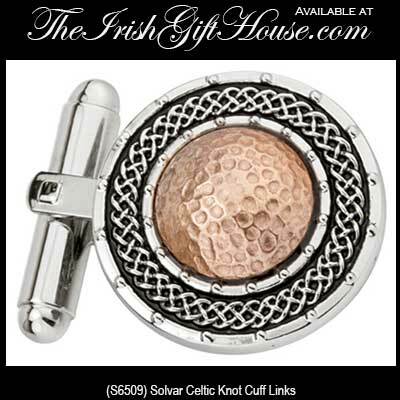 The Irish cuff links are part of the Tara Jewelry Collection and they are made in Dublin, Ireland by Solvar Jewelry.